Baseball is a Family :: We hear about his time with the Padres; about teammates Dave Winfield, Willie McCovey, and Tito Fuentes; how he'd faced Hank Aaron and Johnny Bench and Pete Rose and Joe Morgan; and how a tear of his rotator cuff had brought an end to his major league career. The tie that binds :: No matter what you want to blame—predatory pricing, vertical integration, foreign competition, globalization, urban sprawl—the fact of the matter is, rural America is packing it in. At least the rural America of our memory or imagination. Where water meets desert :: Among locals, you occasionally hear the word "wasteland" used to describe sagebrush-studded lands that biologists prefer to call native shrub steppe. It's impossible to take such a harsh view when Robert Kent is your guide to the Columbia Basin Wildlife Areas. Cover: Former San Diego Padres pitcher Joe McIntosh '73 and his daughter Molly. Photograph by Robert Hubner. Broken bones, lacerations, and late-night illnesses were among the thousands of maladies that brought students through the doors of Pullman's community hospital during its 57 years on Washington State University's campus. But that era ended December 16, 2004, when Pullman's hospital moved its last patient from the brick building it shared with WSU's Student Health and Wellness Services and settled into a new site on Bishop Boulevard a half-mile away. Since 1903, when a smallpox outbreak in Ferry Hall forced college officials to house patients in a gymnasium, people have turned to Washington State for medical help. That year, the need for beds prompted the college to open a two-story infirmary called Maple Cottage, which sat in the place now occupied by WSU's fire station. But the small, seven-bed cottage couldn't accommodate the fast-growing student population for long. 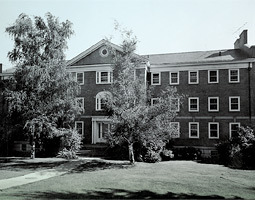 In 1928, a new four-story brick building, the architectural match to Honors (White) Hall to the north, was built with donations and student money on its current site bordered by Washington and Nevada streets. It was named Finch Memorial Hospital, in honor of the project's greatest benefactor, the estate of John A. Finch of Spokane. Dr. Betty Adams recalls the building from her time here in the late 1940s as a student and nurse's aide. She remembers seeing all things typical to a student health clinic: football injuries, stomach flu, car crash victims, and sometimes homesickness. Seriously ill patients were sent off to the hospital 16 miles up the highway in Colfax. "In the middle of winter, that could be a challenge," says Adams. And the fact that Pullman had no hospital of its own had become a liability. "It was seen as a recruiting problem," says Adams. "No hospital in town? It didn't go well with trying to bring young faculty in." So in 1945 the college and city leaders worked out an agreement to open a hospital in the student health building. In the 1950s, the townspeople raised enough money to build a community wing with surgery suites, a nursery, and 49 beds. The hospital, at that point known as Pullman Memorial, leased its land from the University for $1 a year. Not only did the on-campus medical center help attract faculty, the administrators touted it in their efforts to draw students. Putting the student health facility and the hospital in the same building offered more than a marketing tool. It gave both entities a chance to share services and expenses. Though each had its own doctors and care providers, they had the same patients, says Adams. As a students' doctor, she often worked in the hospital filling emergency room shifts and tending to her student patients. "It has been an interesting thing over the years: what's the health service and what's the hospital," she says. 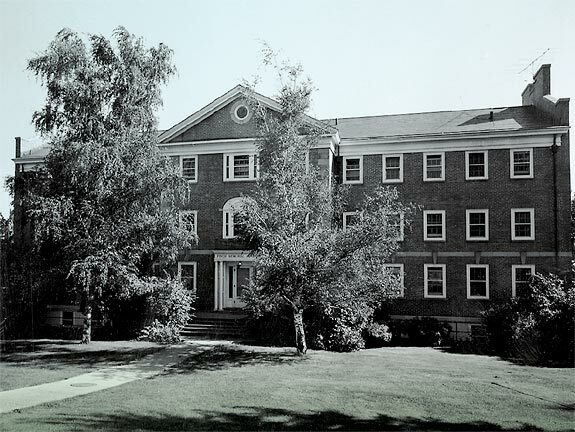 In the early 1980s, both entities benefited from a $3.4 million remodel, which made the facility more accessible by car and traded its "collegiate Georgian" look for modern style. But lately the hospital has outgrown the old structure. The design didn't mesh with today's services and technologies, say hospital officials, explaining why the community hospital was moved off campus. The student health officials plan to spread into the space vacated by the hospital. The students' doctors, like Wright, are checking in on patients at the hospital and continuing to consult with hospital colleagues to ensure the best care for the students at both facilities. Adams, who retired in 1996 and lives in Pullman, wishes them the best of luck. "Those college kids can either give you a lot of gray hairs or keep you young," she says. "I can't tell you which."